When the Proceedings of the National Academy of Sciences retracted a gene therapy paper in December, it declared that some of the data had been falsified and mentioned a research misconduct investigation. But the notice said nothing about who was responsible. there was not enough direct evidence to either implicate or exonerate either of these individuals. There is no real smoking gun here, because the evidence trail is too thin. Clearly fraud occurred. At this point we can only identify who had motive and opportunity. The two researchers determined to have motive and opportunity are former UF postdoc Giridhara Jayandharan Rao, now an associate professor at the Indian Institute of Technology in Kanpur, and former UF assistant research professor George Aslanidi, now an associate professor at the Hormel Institute, a partnership between the University of Minnesota and Mayo Clinic. Neither has responded to requests for comment. A third co-first author was not implicated in the misconduct. “Activation of the NF-κB pathway by adeno-associated virus (AAV) vectors and its implications in immune response and gene therapy,” was originally published in PNAS in March 2011 and was retracted Dec. 26, 2017. It examined an unwanted side effect of a virus commonly used as a vehicle in gene therapy. 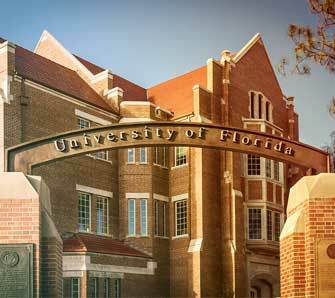 The investigation into data falsification began in early 2016 after senior authors Arun Srivastava and Roland Herzog — both professors at UF — raised multiple allegations that Aslanidi committed scientific misconduct. The alleged misconduct tainted three publications published from 2011 to 2016, including the 2011 PNAS paper. According to the preliminary inquiry report, issued July 8, 2016, initially, only Aslanidi was the target of the probe, although the committee did communicate with Rao as part of the inquiry. We asked Srivastava why he raised the allegations, but he said he could not comment on the investigation and referred us to the UF legal department. In a response to the investigation report, Aslanidi wrote that Srivastava and Herzog’s accusations were “rather personal [than] professional,” however, he did not elaborate. Herzog has not responded to a request for comment. the lack of rigorous record keeping prevented Drs. Aslanidi and Rao from absolving themselves from blame for this research misconduct. UF handles all research misconduct investigations in accordance with UF policy and any applicable federal laws, regulations, and policies. An ORI spokesperson told us that it does not comment on the existence of potential or ongoing investigations.